Already own a home in the Dominion Farms subdivision? Thinking of selling? Click here and read about current search trends & our web network. Dominion Farms is located near downtown Fairhope and is reached from Hwy. 98. The community is near Weeks Bay as well as Mobile Bay and a short drive to numerous restaurants, boutiques and other entertainment venues. Dominion Farms homes typically feature large tracts of land and Colonial-style homes large in size. 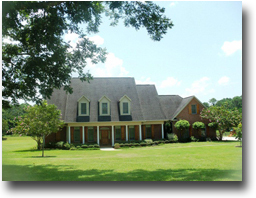 The community is less than a quarter of a mile from Weeks Bay and about 2.5 miles West, Southwest of Mobile Bay. If you need further info, have questions or would like to schedule a viewing for any of the homes for sale in Audubon Place or any other properties in the area, please email info@condoinvestment.com or call 251.978.3718 for immediate assistance.